One person who needs a massive well done was first time exhibitor Ken Grigg who sent just 1 bird a Bullfinch/Norwich Hybred and he won Gold with 94 pts, now that takes some doing. Also for the first time for a lot of years one member sent a team of singing birds, the late Ron Evans would have been a very proud man. The show did have problems as they seemed to not have enough work force and the sad fact was that the Breeders from Turkey had their birds not allowed into the country due to there vets paper work not being in order so all their 600 birds were returned back to Turkey, this is a wake up call for some of our members to remember the correct vets paper work is very important. The IOA wishes to thank first time conveyor Chris Smith on his sterling work he did for COM-UK, Chris now knows what a holiday is like. 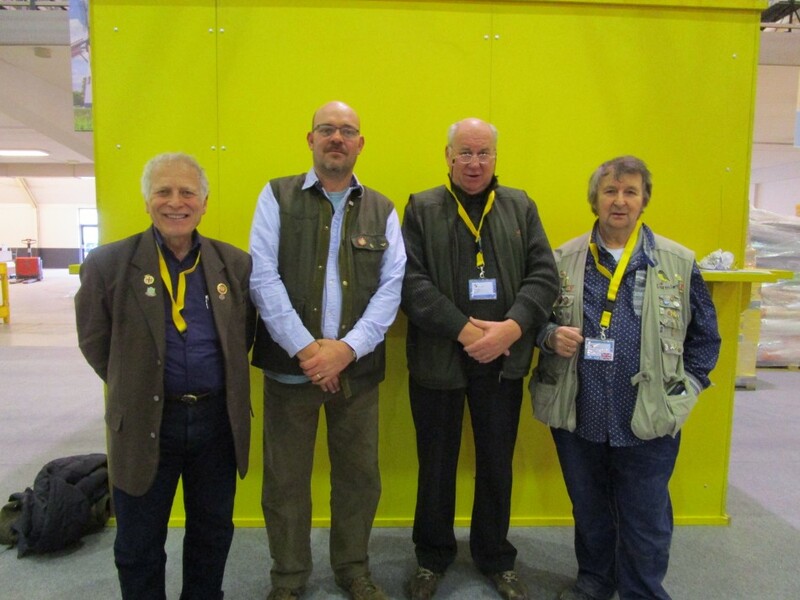 The IOA would like to offer their congratulations to member Graham Lee who passed his COM/OMJ judging test for the section F at the world show. Also at this show COM-Malta had the Big Greenfinch accepted for forth coming shows as a class of their own, so now there will be a class for the Greenfinch and one for the Big Greenfinch which will help IOA members who keep this bird, they now have their own class. Simon Tammam (OMJ) | Graham Lee (New OMJ Judge) | Chris Smith (COM-UK President) |Richard Lumley (IOA President) | World Show Holland 2015.